These are two of the three glasses that are being offered by The Alamo Drafthouse. The third available glass is the Porgs. You might be more right than you know. Go here. Saw that on Facebook. However, I would rather go by Mark Hamill's tweet than a pack of glasses. Glasses to me means nothing since they were made in advance. Remember the Original Trilogy Burger King glasses that came out between '77 to '83? Even these had inconsistencies. I thought the new Japanese poster showed this too , but maybe that wasn’t official. Whether film-accurate or not, the above poster and glass rock. Does this mean that The Last Jedi must reclaim his father's weapon in order to put down the unholy trio of Ren, Rey, and Snoke? 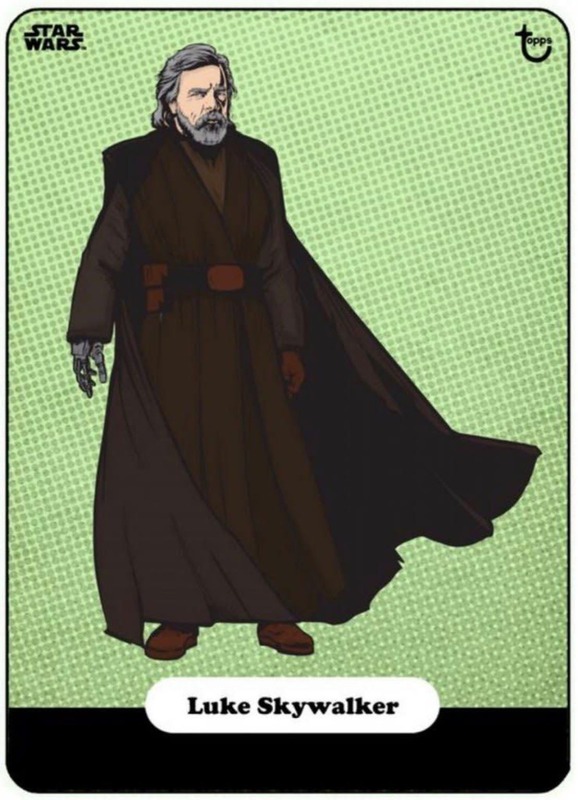 BTW, Luke in the costume below with the Skywalker lightsaber would be wonderful. And what's interesting about the Japanese poster is that our version of the poster had Luke depicted as the big bad. Japanese has the roles reversed and literally goes, "look, Rey towers over everybody so she must be the new big bad." See above...These are my favorite ROTJ posters. Legend has it the hands in the last one is actually George's hands holding up the lightsaber prop and was sketched. 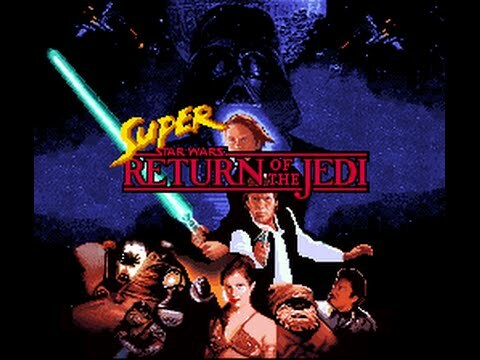 As for the blue glow around Luke in the ROTJ collage poster (first poster above) You're right, they could have gone with a green glow and lightsaber but here's another way to look at it: What if Lucas intended it to say, "Look, Luke is this messiah that's going to save galaxy and everyone in it?" I mean, they could have gone back and modified it for countless VHS releases in the 80's and pre-THX years in the 1990's plus Super Return of the Jedi too. But maybe for some reason Lucas left it as it is since it made Luke look like a messiah since Lucas wanted to depict him that way throughout the Original Trilogy? 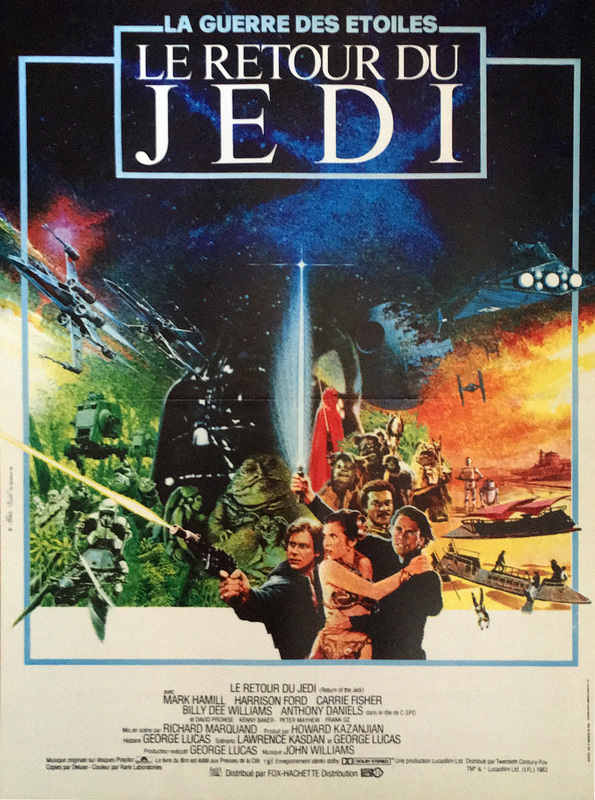 I assume that the Return of the Jedi theatrical posters from 1983 were not amended, because they went to print after the decision was made to go green. The subsequent releases simply kept the theater-articulate image. 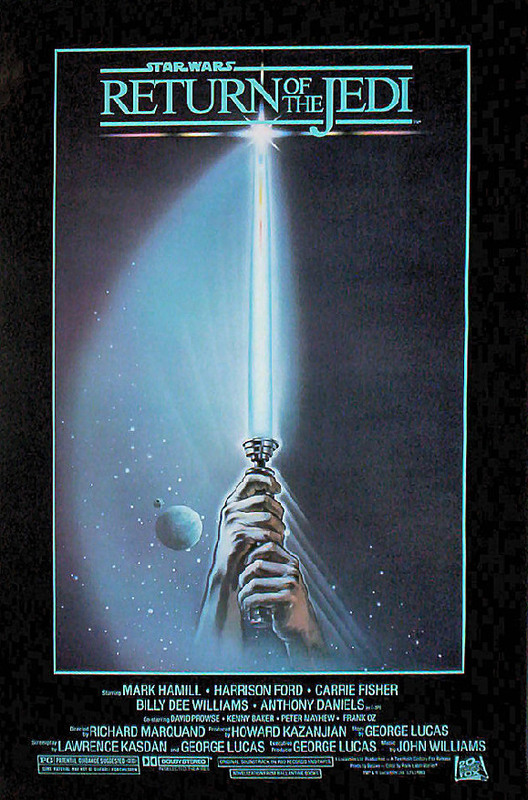 After 1983, I doubt that the original Jedi poster was on Lucas' radar. So maybe Lucas saw that digitized version of the poster and went, "Maybe you could change this?" Seriously do want to see Luke using a lightsaber - don't mind which one as long as he is doing so. Don't worry. Hamill did an interview with the NY Times. He says Luke won't turn evil. It seems obvious to me that Rey is the one who will dally with the darkside. I hope they do something brave with the next two movies and end the trilogy with Rey basically falling and becoming the new ‘bad guy’. That would at least make the overriding narrative a little more interesting. Rey may be pretending to be open to the Darkside as a means of getting in the same room with Snoke. Despite her novice status, she's on mission a la Luke confronting Vader in Empire.